The HR managers, and the interviewers in general, should be able to uncover your weaknesses, without inquiring about them. That’s what we get paid for–for telling the strengths and weaknesses of each job candidate, and for choosing the best person for the job. So why do we ask about your weaknesses? First of all, not every interviewer is truly skilled in HR, not every person leading interviews is a professional recruiter. They really try to learn more about your weaknesses (since they cannot identify them without your help). 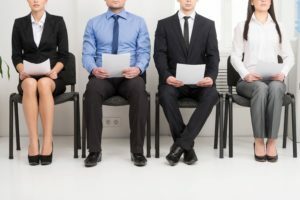 They found the question on the list of common interview questions, and they want to create some pressure in an interview, becasue they know that most job seekers do not like the question. And why do the skilled recruiters ask the question? I believe that in most cases, I can tell the strengths and weaknesses of a person after talking to them for five minutes, sometimes even for less (in terms of their soft skills, intelligence, and also some professional capacities). Understand the level of your confidence. Good job applicant should know their weaknesses, and they should not struggle admitting them. Knowing our weaknesses and our strengths is essential if we are to choose the right job, and to progress in our professional career and personal life. To see your attitude to work, and to personal development. Do you see your weakness as a problem you can’t do anything about, or as an opportunity to improve yourself, and to become a better professional in your field? To prepare your answer, you should think about your strengths and weaknesses from both personal and professional perspective. What have you struggled with in your past jobs, in the school, in your family life? Was it communication, diligence, IT, empathy, attention to detail, meeting deadlines? What was it? If you can not identify your weaknesses (or if you feel like it would be great to get an opinion from someone else, who doesn’t wear pink glasses when looking at you), ask a good friend, or your colleague. Ask them to be totally honest with you. Everyone of us has some weaknesses, and you should end up at least with three or four things on your list. Once you have the list of your weaknesses, you should pick one or two that are not essential for the job, weaknesses that would not jeopardize your chances to do it well. For example, if you interview for a job in sales, customer service, or education, you can say that you are over-friendly with customers (clients/students), or that you struggle with managing other people. The first weakness may be actually considered a strength (depends on the interviewer, but nobody will consider it a showstopper), while the second one is not essential for good teacher or sales representative (you will not manage people in your new job, so there is no need to have good management skills, unless we talk about time management, of course :)). Another example: If you interview for a position in IT, you can say that you are not assertive, or that you struggle a bit with interpersonal skills. Since you will deal mostly with computers, and your communication will be in form of email messages, these weaknesses are not essential, and would not hinder your chances to succeed in an interview. Everyone has some weaknesses. What the skilled interviewers want to hear in a great answer is that you are aware of your strong and weak points, and that you plan to improve on your weaknesses. Great employees realize that learning never ends, that they can always become better in what they do–in both their professional and personal lives. Nobody is perfect, and nobody ever will be. In an ideal case, you should follow the guide described in the previous paragraphs. You should think about your weaknesses, asking another person for their opinion on you, and choose for your interview answer the weaknesses that are not essential for the job you try to get. If you struggle to do so, however, you can find below some sample answers. Each answer is intended for a specific situation and job. If you decide to use one of the answers in your interview, proceed with caution. 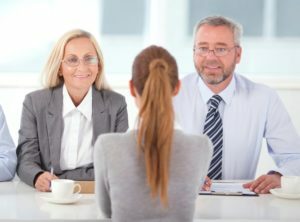 You can certainly fool some recruiters and HR managers, but if you happen to run into a skilled interviewer, they will easily spot your lie, and it will ruin your credibility in their eyes… Let’s proceed to the answers. I would say that my biggest weakness is the lack of experience. I tried to be active at school, I designed campaigns for school projects, and also for myself. Still, I lack the practice with designing campaigns for real market conditions. Actually that is one of the reasons why I applied for a job with you, becasue you work on many projects and you operate internationally. I really believe that I can gain the experience with you. I really struggle with computers, at least when I compare my skills with the average member of our generation. Since I have always spent most of my time outside, and in the nature, I didn’t really learn to work with many computer programs. But I understand it is important to improve on my computer skills, and I plan to attend evening classes as soon as I have the job, and have some money to invest into my education. Bad communication skills are my biggest weakness. Since I am so passionate about computers and software development, I spend a lot of time online, and working on the code. I lack social contact, and therefor I sometimes do not know what to say, or how to act, when meeting someone for the first time. But I believe that I can improve on my communication skills, and the job in your company is a great opportunity to do so. Work in a small team should help me to improve my communication and social skills. My biggest weakness is that I get sometimes emotionally involved, that I can not separate my personal and professional life. I am a perfectionist–which is perhaps another weakness, and I always try to do my best for every child, for every student. If things do not go as planned, or if there are problems in the classroom, I often consider it a personal failure, and it affects me negatively in my work. But I am aware of this weakness, and I try to improve, try to set some boundaries and keep some distance. It is not easy for me, but I can honestly say that I have improved over the years. Sometimes I am impatient, and I may demand too much from other people. I know that everyone is different, that people have good and bad days in work, and that we can not expect them to deliver their best every day. Still, my sense for responsibility and my desire to achieve the best possible results for my employer may drive me to strange decisions. This led to some conflicts with my subordinates in my last job. I am aware of this problem, however, and I work on eliminating it. I would say that I have two main weaknesses. Of course we can improve on everything we do in life, and I always try to become a better engineer. The two areas where I see the biggest room for improvement are my management skills, and an ability to focus on the big picture. I am a very detail-oriented person, and I sometimes lose my focus becasue of that. It may take me longer to complete the project, becasue I spend a lot of time trying to achieve perfection of the design. This is something I really try to work on, to ensure I’d meet deadlines and do not waste time in work with something that isn’t really important, or something that is a task of other employees, such as testers and quality engineers. As you can see in our short selection of sample answers, a weakness that is essential for one job can be completely irrelevant for another position. What is more, a smart job applicant uses even his weaknesses to show his great attitude to work, to life, and to other people. What motivates you in work? – Motivation is a deciding factor in many interviews, especially when we talk about entry level positions and manual labor. Learn how to answer this difficult interview question to make a great impression on your interviewers. Interview Success Package – Multiple brilliant answers to 30 most common interview questions, and a guide on how to win the hearts of your interviewers. If you interview for a job tomorrow, and do not have much time to prepare for the most important meeting of this year, you should check our package. In a few hours from now, you will be ready to ace your interview! How to answer interview questions – Our verbal communication is just 10% of the message we send over. Ninety percent is nonverbal communication–the way we look, talk, shake hands, sit on a chair, etc. Learn what emotions and attitudes you should present in your interview, trying to get the job.